“Where is Beckett?? ?” I asked myself while washing windows this morning….. I look out to the field, to the left, to the right, on the deck…no Beckett. I look down because Cassie is always beside me and this is what I found! 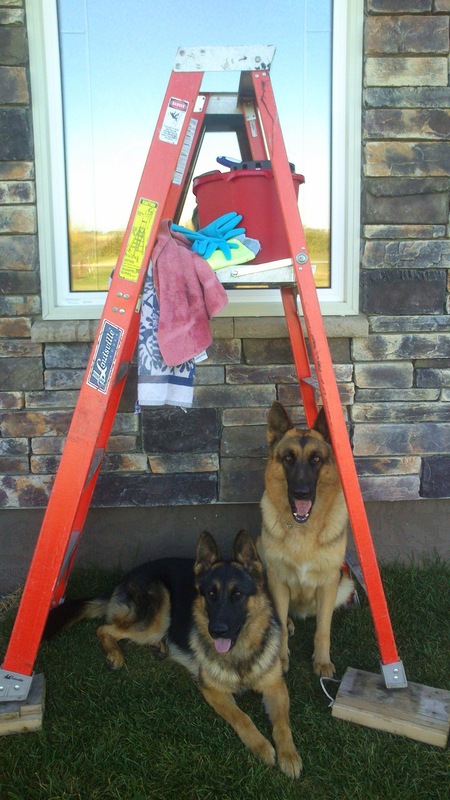 Out of 11 acres of field to frolic in, they are keeping watch under the ladder! This is truly a great example of what German Shepherds are all about. Showing and looking pretty is less than 1% of their life. This is the rest, being with their humans . This entry was posted in Menu and tagged german shepherds.